As many know I'm a huge fan of the TB01. Along with Jason's TT02 build. I'm in the process of gathering parts for a very slow on going project. Very slow is the key part here. The idea of this build is to build the ultimate TB01 (IMO) touring car. Not the usual rally car I tend to do. I don't have a kit. What I'll be doing is sourcing parts that are hop ups or optional extras by Tamiya and GPM. It will no doubt cost a lot more than just buying a kit outright. But as I'll be spreading the cost over several months/couple of years. It won't seem too bad. The chassis is en route from France. This also comes with the prop shaft and motor mount. 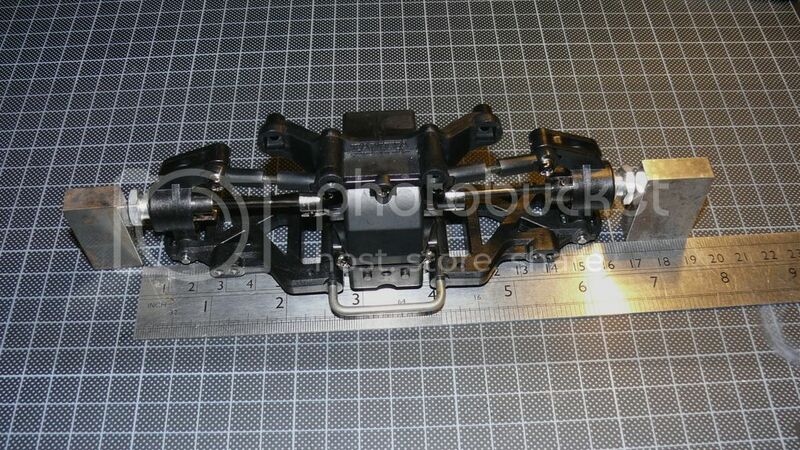 And I've started to research and collect parts for the Tamiya 53430 wide arm suspension kit. The wide are kit is rare and expensive. Sourcing each piece will take a while and will no doubt cost the same in the end. But I do find it fun to source the parts and buy a one or 2 at a time. I've got one set of lower wide arms en route. Need to source a 2nd set. Now I could just use the parts off my current TB01. But 2 reasons why I won't be doing. 1. Not half as much fun. 2. I want a new build. Several parts are cross compatible between tamiya models. So I'm hoping that it makes it a little easier to find things when they are listed on ebay. If anybody wishes to donate any parts to the cause... They are more than welcome to. Lol. I assume your chasing 50910? also maybe the carbon arms from Tb evo 2 work also? and these are a packet of 4, I’m using them on my custom g6-01 they are about 4-5mm longer than the TL01LA arms. Fairly sure the lower arms from the wide arm kit are available in carbon reinforced. And they come in a packet of 4.
anyway I assume your chasing 50910? 4 would be great. Looks like 2 on the pictures though. I have a few bit left over from building the TB Evolution , are any parts compatible? I have the suspension arms! I'll message you later dude. I'll check out if any of the parts are and see if you can help out. May defo be needing one set of arms. Luckily for me. 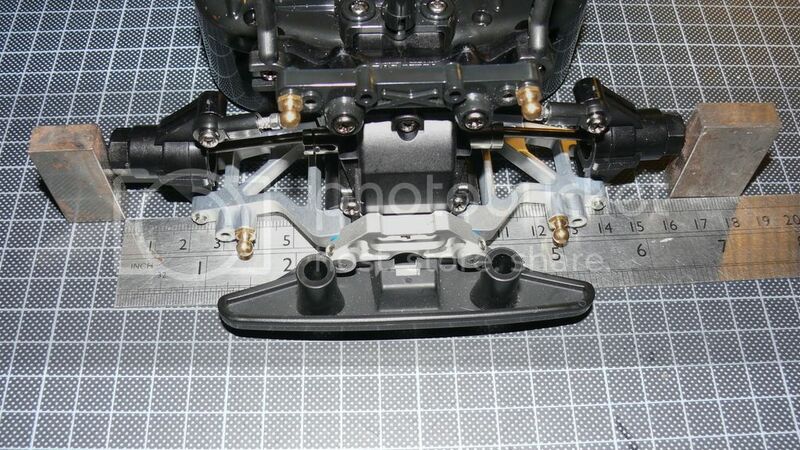 Tamiya used the items for the suspension across a few different kits. I think the hardest part to find will be the alloy plate that sits on the gearboxes that the steel shafts go through. Or I may have to use the normal U pin or the rather rare alloy suspension mounts. 1st set of M Part arms have arrived. Its 1 front and 1 rear per packet. I think the hardest part to find will be the alloy plate that sits on the gearboxes that the steel shafts go through. Or I may have to use the normal U pin or the rather rare alloy suspension mounts. Don't bother with the plates, there's way too much slop. The alloy hop-up is nice, but easily bent. Best to go with the U-pin. The rear toe is really insufficient to make the car handle well, just under 2 degrees on mine with a new set of arms. And there's no way to adjust it. Also the track width increases. If standard kit +4 offset wheels fit under the shell with the regular arms, then you'll need 0 offset dishes to fit the shell with the long arms. Also the track width increases. If standard kit +4 offset wheels fit under the shell with the regular arms, then you'll need 0 offset dishes to fit the shell with the long arms﻿. This I was completely unaware of. It's been some years since I've dug out my TB01s, but I do have both a chassis built with and without the LA conversion in my hoard. I cannot recall the track-widths being changed at all. Which is actually the best part of these kits IMO: They provide much-improved suspension geometry without changing the footprint. Or perhaps I'm remembering this wrong? Or perhaps I remembering this wrong? For some reason I never bought the hop-up mounts, but sort of wish I had. They truly are the best solution to replacing the U-shafts. Pity they are so scarce. Just had a look through my TB01 stash -- I have a few extra odds-and-ends that are compatible with the LA kit. Where are you located? I've documented the track width change in my "From TB01 to TA07, 15 years upgrade overnight" thread. The difference is small but obvious. As I say, the difference between a +4 offset and a 0 offset wheel. It ultimately was a better handling car with the standard arms at our track, due to the rear toe-in problems I mentioned. The ideal 2.5 to 3 degrees is not possible to achieve. The aluminium suspension mounts hold the arms nicely rigid, but have no give at all so will bend the steel pins in an impact. The U-pins also hold everything nice and rigid, but do have a bit of give in an impact. I've run my TB01 at the track now for almost 4 years. I'm just reporting what I've found during that time. Take it or leave it. But don't say you weren't warned. Here you go. I measured it for you. 16.3cm with the standard arms. 16.9cm with the long arms. I don't know where it came from that the track remains the same, but as you can see it's nonsense. There is a very strong chance I will not be racing this car. As I don't race. Its more than likely going to be a shelf queen and may very possibly grace some AstroTurf or ultra smooth tarmac. For sure, most sane people, ahem! Don't run TB01's on the track. The only plus side is their durability really. A TT01 makes much more sense. Better suspension geometry, better toe angles, lighter, faster and much cheaper parts. I just wanted to warn you that if you intend to fit a standard size TC bodyshell, only 0 offset wheels will fit properly with the LA kit. Thank you. Consider me warned. Lol. Do Tamiya make 0 offset wheels? I don't know, sorry. I would think anything close to scale wheels will have more than 0 offset. Most track wheels with the tyres pre-glued are 0 offset, which would make the track too narrow if it's designed for +4. Hence the LA kit being wider to compensate for that I guess. That would make sense I guess. The hunt for wheels will towards the end of the build. Not decided on a body yet. I am leaning towards a Ferrari one. The Enzo? That complicates things even further because the rear is wider than the front, and you can't use the longer rear kit axles because the bearings in the hubs are bigger than standard. So the front will appear too wide, and the rear too narrow.